Forza 7 developer Turn 10 has posted updated minimum PC specifications for the game, and confirmed a long list of supported peripherals. The developer announced at gamescom that it managed to optimise the engine enough to allow the game to run at 60fps on a wide range of PC hardware. This also resulted in lowering the recommended specs. The minimum specs now start at an i5-750 and GT 740 / GTX 650 or FX-6300, whereas the recommend spec can run on an i5-4460 and GTX 670 / GTX 1050 Ti or FX-8350. The minimum specs get you 720p at 30fps, and the recommended specs are designed for 1080p 60fps. If you’re aiming for 4K at 60fps, the ideal specs require an i7-6700K paired with a GTX 1080 or RX Vega 64. As far as PC features, the game includes a benchmark mode, support for 21:9 monitors, up to 8x MSAA and 16x AS, and unlocked frame-rate. Turn 10 confirmed that, for the first time, PC players will get a demo of the game prior to release. The developer did not announce a date, and it didn’t say if the demo would launch on both platforms simultaneously. 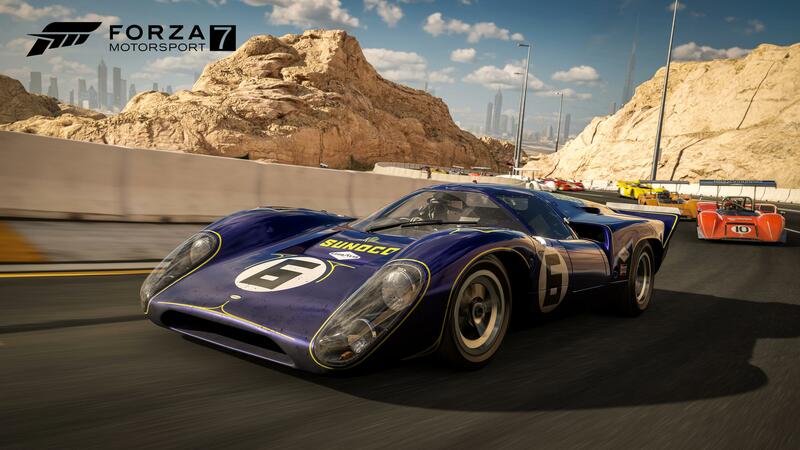 Forza 7 is out October 3 for PC, and Xbox One. Ultimate Edition owners get it on September 29.